As polls closed at 7 p.m. on Tuesday night in the state of Georgia, and with only 34% of the votes counted, one thing was clear to everyone: Stacey Abrams, the former State House minority leader was going to make history. With only 30% of the votes counted, the race wasn’t even close. 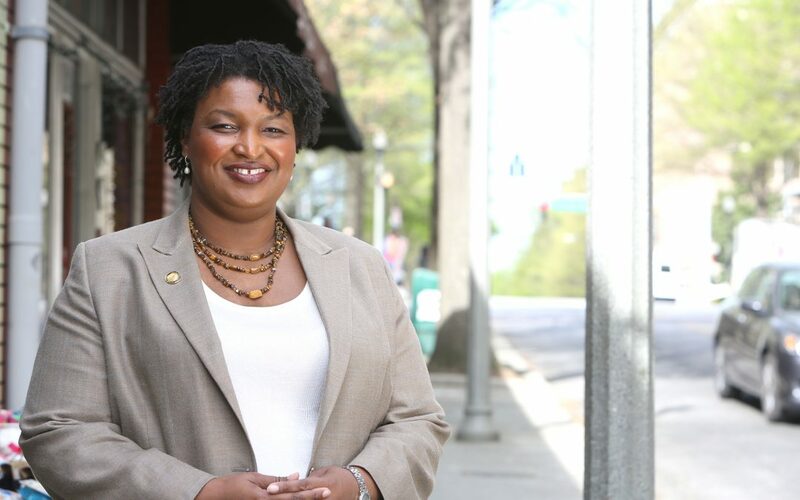 Abrams, who is vying to become the country’s first black female governor, trumped Stacey Evans, who was also looking to make history as the first female gubernatorial nominee for any major party in Georgia. Abrams overwhelmingly won the Democratic nomination by a 53% margin by the end of the night. Abrams’ triumph isn’t just a win for African Americans and young progressives, but also the Democratic Party, which has lost numerous elections over the years to Republican opponents. Come November, she will face the winner of a run-off election between Georgia’s Secretary of State Brian Kemp and Lt. Gov. Casey Cagle. In a victory speech, Abrams echoed the progressive ideologies that not only won her the go-ahead nomination for the gubernatorial seat but one that has now proven the theory that liberals need to curb white, moderate Republican voters. What may prove decisive this fall is whether Ms. Abrams—in addition to drawing out voters who typically do not vote in a midterm election—can also win over the sort of white women who have recoiled from Mr. Trump and powered Democratic turnout in a series of special elections and primaries. In another primary race in Georgia’s 6th district, Lucia Kay McBath, the mother of 17-year old Jordan Davis, who was shot to death in Florida over loud music, ran as the only woman on the ballot in an area that over 70% white. She will have to beat Karen Abel in a runoff election in July.